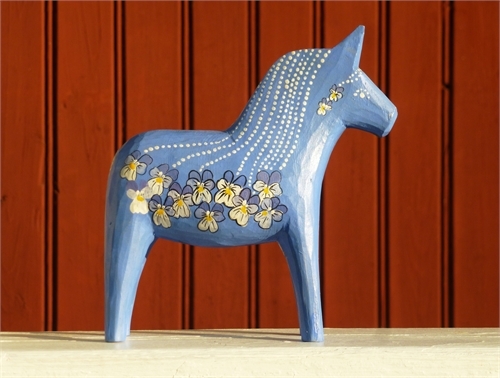 A long history of tradition, folklore, and legend have shaped Scandinavian culture. Surveys conducted in Iceland reveal that more than half the nation believes in “hidden people” or elves, which resemble humans. Iceland’s elves are good-natured, but protective of their homes. 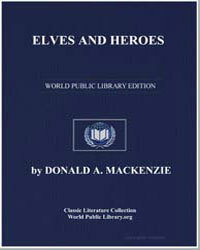 People believe that these elves live in the lava rocks: woe betide those who disturb their dwellings. When building new roads, the highway department often avoids disturbing the rocks. The department contacts local “elf experts” for guidance. In Scandinavian Folk-Lore, William Alexander Craigie writes, “King Olaf Trvggvason was told that trolls lay on Heidar-skog, so that no one could traverse it” (p. 40). In Highland folklore we find associated with the haunting ‘fear of things invisible,’ common to all peoples in early stages of development, a confident feeling of security inspired by the minute observances of ceremonial practices. We also note a distinct tendency to discriminate between spirits, some of which are invariably friendly, some merely picturesque, and perhaps fearsome, and others constantly harbouring a desire to work evil upon mankind. Associated with belief in the efficacy of propitiatory offerings and ‘ceremonies of riddance,’ is the ethical suggestion that good wishes and good deeds influence spirits to perform acts of kindly intent. This may seem strange to some, but a 2011 Associated Press-GfK poll revealed that 77 percent of American adults believe in the power, protection, and guidance of angels. Primarily tied to religion, this belief is relatively widespread among the less religious. These celestial beings are popular in American culture. Images grace a wide assortment of items from paintings and figurines to calendars, t-shirts, and beyond. Dear Little Ones, I come to you with thoughts from the angels, your living guardians. Little children often want a little help to go brightly and bravely through the day, and this is just what I want to give you, by reminding you of our dear Lord’s words, and of the holy examples of His saints.